Via Dengeki Hobby, we have some new images and information regarding the upcoming Takara Legends LG-EX Black Convoy! 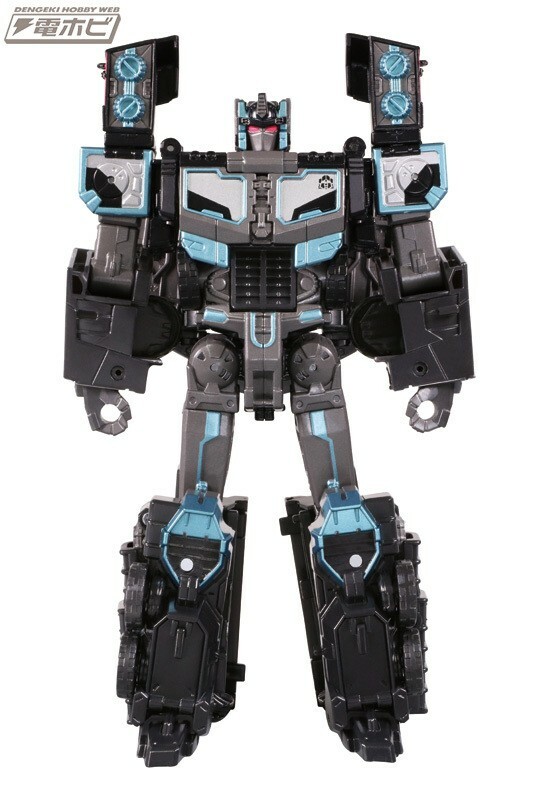 The new images show the beautiful black paint job the figure has along with all 3 modes. Some new information also reveals the figure will be 5600 yen, or about $51.00 US dollars, it is scheduled for a June 3 release, and it will be released at the opening day of the 2017 Tokyo Toy Show. It is also a limited release. The sword's a too little pink for my tastes. Still looks fan-flipping-tastic, if I had any connection to the character I'd be all over this. Now all we need is the Toxitron Redeco. Wasn't planning on picking him up, but man is that truck mode gorgeous. If he's not too expensive I may just cave in and pre-order him. I need this guy in my life! The Flowers of Evil shall bloom across the cosmos! RiddlerJ wrote: Now all we need is the Toxitron Redeco. and a dotm inspired Megatron. and a ehobby Battle Magnus? 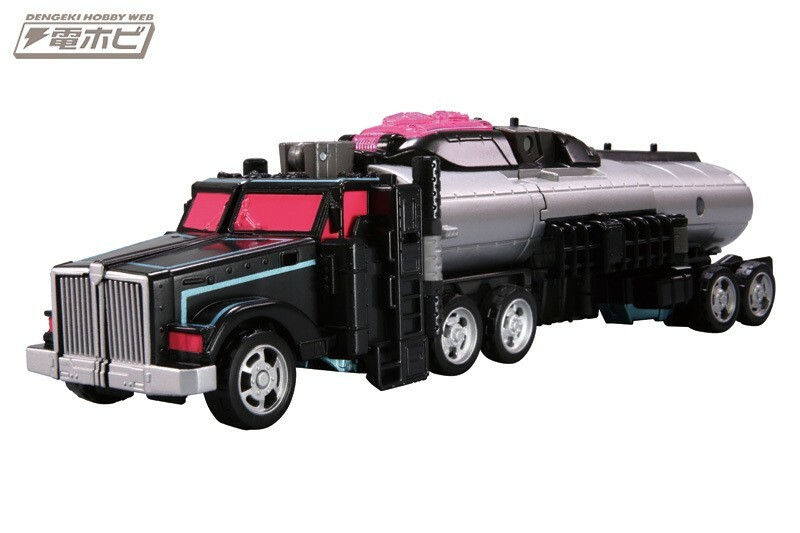 Overcracker wrote: Wasn't planning on picking him up, but man is that truck mode gorgeous. He will be about 60$ USD minimum. and a dotm inspired Megatron. Any news whether the likes of Ami Ami or Anime Export are expected to carry it? Or will it have to be BBTS or TFsource for those of us in the western hemisphere? Its an exclusive in japan, like thosr recent heads in a boxset, so only bbts, tfsource and the like. All righty then. TFSource it will be. D-Maximus_Prime wrote: Via Dengeki Hobby, we have some new images and information regarding the upcoming Takara Legends LG-EX Black Convoy! 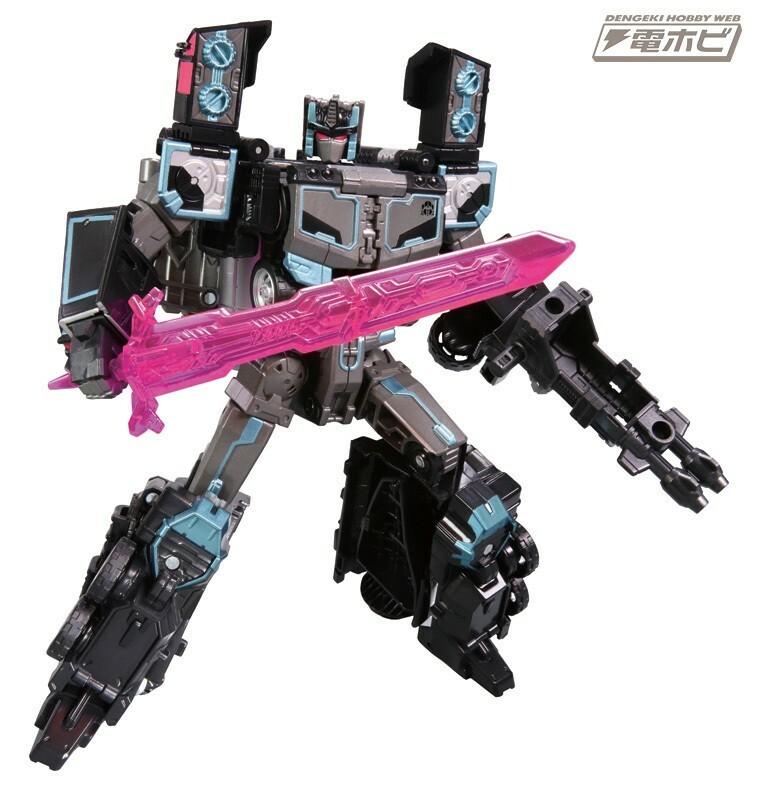 The new images show the beautiful black paint job the figure has along with all 3 modes. Some new information also reveals the figure will be 5600 yen, or about $51.00 US dollars, it is scheduled for a June 3 release, and it will be released at the opening day of the 2017 Tokyo Toy Show. It is also a limited release. I feel like I've died and gone back in time to a time when Paris Hilton was slightly relevant, because damn THAT'S HOT! You know, his noggin looked a bit off, and I didn't know why at first. I just now noticed that the pylons/antennae aren't up. Y'know that scene in Zootopia when the sloth gets the joke and his face slowly explodes into a huge open-mouthed smile? That was my reaction to seeing this. JazZeke wrote: Y'know that scene in Zootopia when the sloth gets the joke and his face slowly explodes into a huge open-mouthed smile? That was my reaction to seeing this. It just hit me. 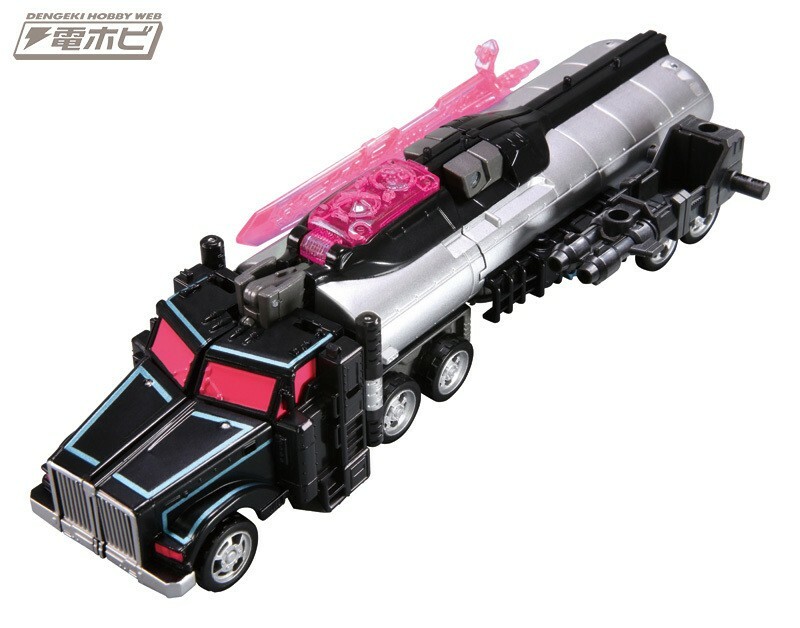 This toy is basically giving Black Convoy everything he's ever wanted. Not only does he now have a Headmaster to counter Brave Maximus, but he also now has a flight mode to counter both God Magnus and God Fire Convoy. Sabrblade wrote: It just hit me. This toy is basically giving Black Convoy everything he's ever wanted. 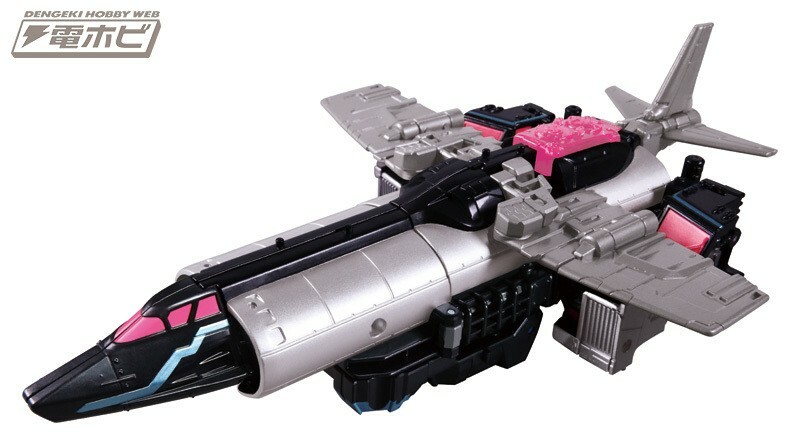 Not only does he now have a Headmaster to counter Brave Maximus, but he also now has a flight mode to counter both God Magnus and God Fire Convoy. Refresh my memory, were the previous Tokyo Toy Show exclusives sold at the Takara Tomy Mall site? I don't want to bother with TFSource or BBTS if I can get it for less through a forwarding service. I've gotten the previous Masterpieces from TFS, but I'd really like to try buying direct if I can this time. Emerje wrote: Refresh my memory, were the previous Tokyo Toy Show exclusives sold at the Takara Tomy Mall site? I don't want to bother with TFSource or BBTS if I can get it for less through a forwarding service. I've gotten the previous Masterpieces from TFS, but I'd really like to try buying direct if I can this time. My guess is the primary venue is that Toy Show, with leftovers sold on TakaraTomy Mall. I have an intermediary/forwarding contact in Japan (well know among the collector's community and not BigInJapan who I also use) who gets me hard to find PVC figs (100% success rate). They wouldn't want to even touch Tokyo Toy Show exclusives(too expensive). Same with the special headmaster sets. Hence I was force to use RK.